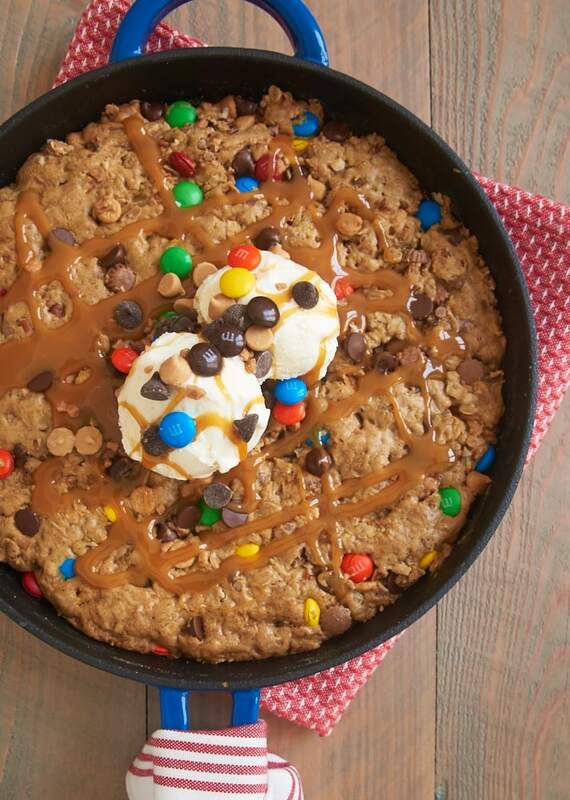 This Monster Skillet Cookie recipe is a perfect go-to when you want a quick and easy dessert to share with your cookie-loving friends. 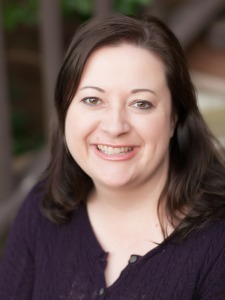 Last fall, I spoke to a group of students from my former high school about blogging, cookbook writing, and such. They were such a great group full of questions. I’m sure everyone’s favorite part, though, was making skillet cookies. 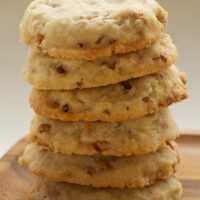 You can always win over a crowd with freshly baked cookies. Several times since then, I’ve thought that I should make more skillet cookies. 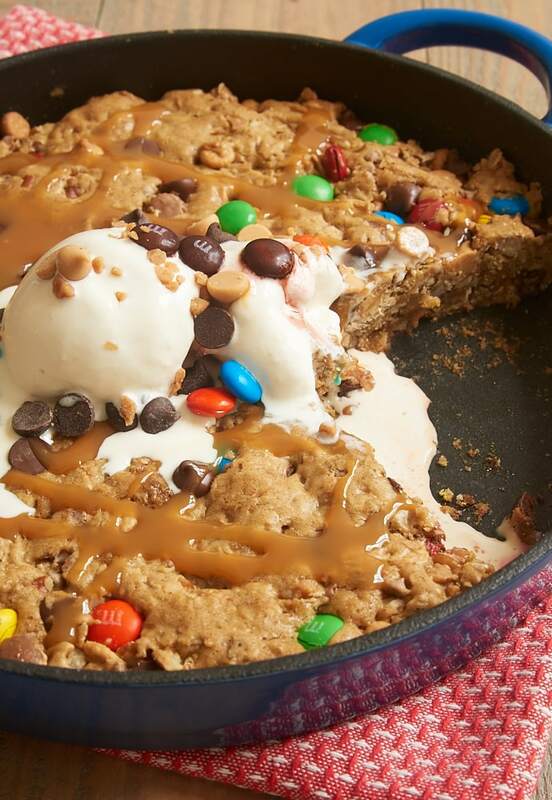 It’s taken me a while, but I’ve got a doozy of a skillet cookie to share with you. This is one serious cookie packed with so many good and irresistible things! 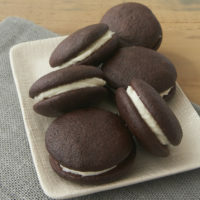 You can use whatever you like as add-ins for this cookie. For the one you see here, I used chocolate chips, peanut butter chips, nuts, toffee bits, mini peanut butter cups, and cinnamon chips. But there are all kinds of things you could use. Coconut, caramel bits, pretzels, crumbled cookies… You get the idea. 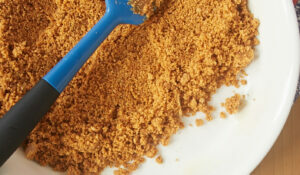 Get creative with what you have in your pantry! I like to mix this cookie right in the skillet. It cuts way down on the post-baking clean up, and it’s just simpler to me. If you prefer to mix the dough in a separate bowl and then spread it in the skillet, that’s perfectly fine, too. As you can see, I topped this cookie with a couple of scoops of ice cream, a little caramel sauce, and a handful of the add-ins I used in the cookie dough. With all the flavor in the cookie, that may be gilding the lily a bit, but I just couldn’t resist going all out for this amazing cookie! This is the kind of sweet treat that’s meant to be shared with your cookie-loving crowd. It’s perfect for a rainy night at home with family, a Netflix binging marathon, or a celebration with friends. 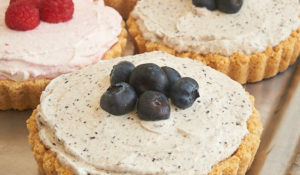 And if you normally have basic baking ingredients in your kitchen, then it’s just the thing for most any impromptu occasion that’s deserving of a treat! 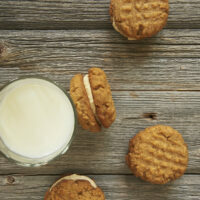 Find more cookie recipes in the Recipe Index! 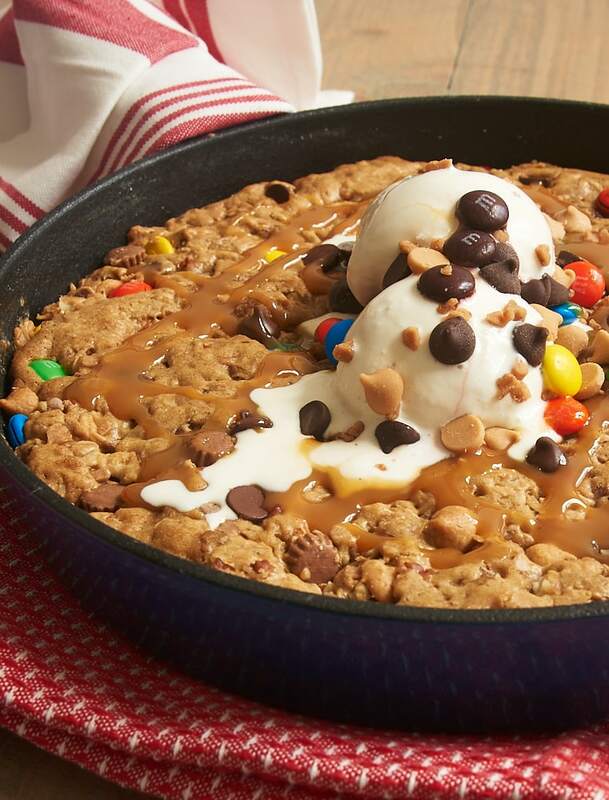 Quick to make and sure to please, this Monster Skillet Cookie is packed with all kinds of tasty things! Stir in the add-ins. Spread the dough evenly in the skillet. Bake 20 to 25 minutes, or until golden brown. Be sure not to overbake. Serve warm or at room temperature. *Don’t skip the cooling step. The butter/sugar mixture needs to cool a bit before you add the egg so that you won’t end up with bits of cooked egg in your cookie dough. This sounds great. You mix and make it all in one pan. Love it! Since I can’t eat oats, do you think I can use quinoa flakes in place of the oats? I just purchased quinoa flakes and wonder if I can use them exactly the same way as you would oat meal. Hi, Alicia. I’ve never baked with quinoa flakes, so I can’t really answer your question. I would follow the manufacturer’s recommendations for substitutions. 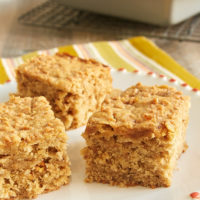 Alternately, you can omit the oats and increase the flour by 1/4 cup. 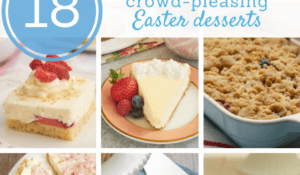 My favorite part would have been making skillet cookies, too…. I want to just plant my face in this and not look up until it’s gone. 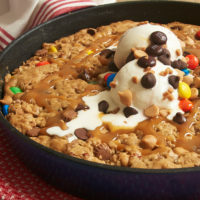 Ahhhhh, skillet cookies are my favorite! And now I want to make one. This looks so good! How decadent! I like how you can mix it up with your own mix-ins! Yummy! I’ve made a fair number of the recipes you’ve posted, and this is one of my favourites- that it’s quick and easy makes it even better. I mixed in chocolate chips and chopped Reese’s peanut butter cups, baked it for 35 minutes, and it turned out very moist. I’ve just picked up some caramel sauce that I’ll incorporate next time as well. I’m so glad you liked it, Bryan! 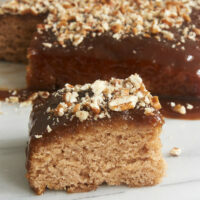 The caramel sauce really takes it over the top! Thank you for you simple and doable approach. 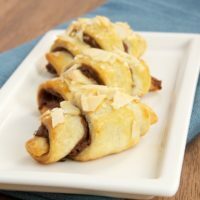 I just joined your site and can’t wait to try out your recipes in BoB! Welcome, Allie! I hope you find some new favorite recipes!